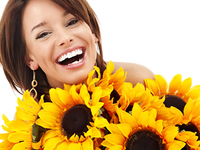 Your smile requires regular and consistent maintenance. Preventative care is an important part of your dental health program. Good oral health is increasingly recognised as important to the body as a whole, not just the mouth. Regular dental examinations at Meon Dental in Petersfield to assess the health of your teeth and gums. Early detection of dental decay and gum disease is essential to prevent unnecessary discomfort. Regular hygienist visits at Meon Dental to scale and polish teeth and treat inflamed gums to prevent bad breath. They will also give advice on cleaning techniques to achieve and maintain good oral hygiene. Dietary advice, where necessary, to reduce the onset of tooth decay and gum disease. Review appointments to assess your progress on oral hygiene and monitor gingival health. Mouth cancer screening. Smoking, drinking and unhealthy diets increase the risk of mouth cancer. Early detection increases the chances of survival.